Filed to: But What About the Emails?Filed to: But What About the Emails? If the 2016 election taught us anything, we now know that proper handling of email is the most important thing in the world. Recently, it came to light that while Rex Tillerson was CEO of ExxonMobil, he used an email account with an alias for his communications. Following a court order to turn over those documents, Exxon’s lawyers say that they’ve misplaced them. When Trump picked Tillerson to be his Secretary of State, many people were surprised. The two don’t seem to have a lot in common. Tillerson hates publicity, sort of acknowledges the existence of climate change, and actually ran a legitimately successful business. But as time has gone on, similarities between the two have been revealed. The secretary is really good friends with Vladimir Putin, for instance. And then we found out that Tillerson also likes using a pseudonym. In Trump’s case, he called reporters pretending to be John Barron in order to plant stories about how great he is. 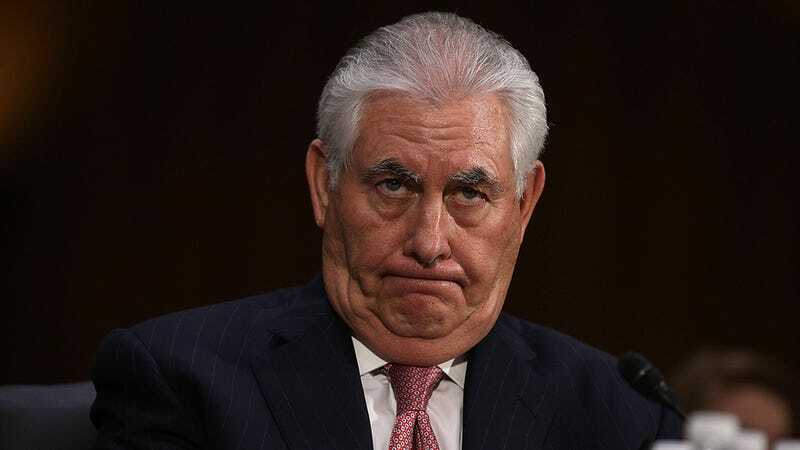 In Tillerson’s case, he had a corporate email account under the name “Wayne Tracker.” According to New York Attorney General Eric Schneiderman, the account was used to communicate with senior company officials about the risks posed by climate change. Exxon’s lawyers are disputing how many emails are missing. They claim that up to nine months of emails may have been recovered from other accounts. Of course, it would only take one particularly damning email to harm the oil giant’s case. The company claims that it was using the Microsoft Exchange system to handle the archiving of documents that were placed under a “litigation hold.” Apparently, the “standard configurations” on the software were “configured improperly” and Exxon is investigating, ya know, how this dang software screwed it all up. It’s worth noting that in attempting to explain why these emails “will not be significant” to the case, they admit that the account was searched for relevant information. So, the company recognized that since this email account belonged to the CEO it was part of the investigation. But no one properly added it to the archiving system. Both parties are due to appear in court again by March 31st, and they agreed to discuss possible ways to recover the missing communications. The judge ordered Exxon to produce sworn statements and documents from employees who were in charge of preserving the emails.